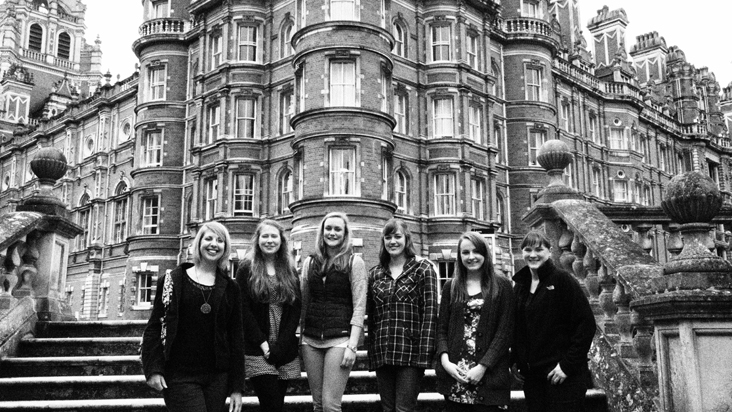 Welcome to ‘Working Dissertations’, the blog site that showcases the experiences of Royal Holloway Geography students undertaking a placement-linked dissertation. This blog tracks their progress and hopefully inspire you to ‘work’ your dissertation to develop transferable skills key to securing your future career. After the pilot year (2013-2014), seven new students developed and exanded our innovative and award-winning scheme into its second year. It has now been running successfully for several years, in conjunction with our other placement schemes here at RHUL Geography. Students each carry out original geographical research for their undergraduate dissertation in conjunction with a placement organisation that the department has set up. Through the competitive application process, and placement-linked dissertation itself, our aim is to give our students the edge in a competitive job market. Students learn to connect knowledge and approaches in geographical research with those practiced in partner organisations, and gain workplace skills including performing in a team of experts within a professional environment. Summer 2013 saw Emma, Emily, Kathryn and Kathleen embarking on human and physical geography research with four different organisations respectively: The Body Shop (on ethical consumption/marketing); Furtherfields (on digital arts); The Wildwood Trust (on wildlife conservation) and StreetInvest (on child support). Their achievements are celebrated in a brochure/employer ‘leave-behind’ available here. Placements are organised by staff from the department who have forged industry links with each of the organisations and supervise the students’ respective projects. Supervisors include Dr Harriet Hawkins (Furtherfields), Dr Dorothea Kleine (The Body Shop), Professor Danielle Schreve (The Wildwood Trust) and Professor Katie Willis (StreetInvest), Professor Philip Crang / Dr Katherine Brickell (Truth) and Professor Felix Driver (Egham Museum). Keen to ensure fair and equal access to these opportunities, research, travel and accommodation expenses are kindly supported by the Royal Holloway Alumni Fund.